UK-listed online gambling operator Bwin.party digital entertainment has publicly confirmed that it’s a potential acquisition target after an FTAlphaville report suggested Canada’s Amaya Gaming Group was eyeing a £1.2b takeover of the struggling company. The Evening Standard has since mentioned online gambling software suppliers Playtech as another potential Bwin.party suitor. Speculation had been mounting that something was afoot at Bwin.party’s Gibraltar HQ. Prior to Wednesday’s news, Bwin.party shares had risen over 25% in the past month despite very little in the way of encouraging operational news. The stock closed Wednesday’s trading up another 10% to 119.1p. Bwin.party has only now begun to rid itself of the headaches incurred by the 2011 merger of Bwin and PartyGaming, which CEO Norbert Teufelberger admitted in August had proven “very, very difficult to achieve.” Bwin.party also endured a long battle this year with activist investor Jason Ader, who pushed for (among other things) the selloff of a number of non-core divisions, including the Kalixa online payment operation. Amaya made headlines earlier this year when it splashed out $4.9b to acquire the parent company of PokerStars and Full Tilt. It’s questionable whether Amaya would be willing and/or able to add another billion or two to its debt so soon, not to mention the extra integration headaches, but Amaya has proven doubters wrong before. 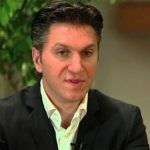 Amaya will hold a conference call on Friday to discuss its Q3 earnings and all ears will tuned to what CEO David Baazov has to say. Baazov has previously vowed to diversify his new toys into sports betting by 2015. Sports betting is Bwin.party’s, er, least unimpressive vertical and the company has a significant presence in the German betting market. Baazov has also voiced plans to enter the social gaming market and Bwin.party has its own social gaming outfit, Win. 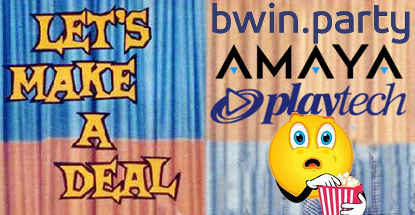 Should the Amaya rumors prove true, the fate of Bwin.party’s struggling PartyPoker division will prove interesting. 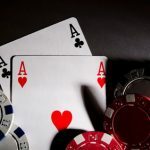 Amaya’s existing poker assets are already beating up PartyPoker in most regulated EU markets in which both companies operate. 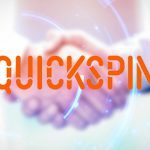 The US angle is far more interesting, given PokerStars’ well-publicized difficulties in shaking its ‘bad actor’ reputation. PartyPoker is already the top online poker operator in New Jersey’s regulated market and has a prospective deal in California with the United Auburn Indian Community (one of the tribes looking to keep Stars out of the Golden State). Bwin.party’s waters were further muddied by Wednesday’s news that Playtech was raising €315m via a bond issue to fund “acquisitive and organic opportunities.” Playtech is already sitting on a €400m cash pile after selling its stake in the William Hill Online joint venture and CEO Mor Weizer said last month the company was eyeing a major acquisition in H1 2015 that would elevate Playtech to “the next level.” Speculation had it that Playtech was eyeing a takeover of UK-listed betting operator Ladbrokes, with which Playtech has a technology relationship. 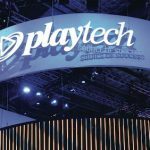 Last month, Playtech announced it was renegotiating deals with some of its marquee licensees in the UK to help “share the pain” of the Dec. 1 imposition of the new 15% online point of consumption tax. At the same time, Weizer floated a plan under which licensees who were considering withdrawing from the UK market rather than apply for a new UK Gambling Commission license could choose to operate under Playtech’s B2C license. Weizer compared this “full turnkey solution” to the model utilized by its Virtue Fusion bingo division but denied that it put Playtech in a position where it was directly competing with its larger licensees. That argument would ring even more hollow should Playtech make a Bwin.party play.